Timothy P. Duffy, 41, of Youngstown, passed away on Wednesday, June 6, 2018. Tim was born October 9, 1976, in Youngstown, Ohio, the son of Patrick and Linda (Ondrusek) Duffy. 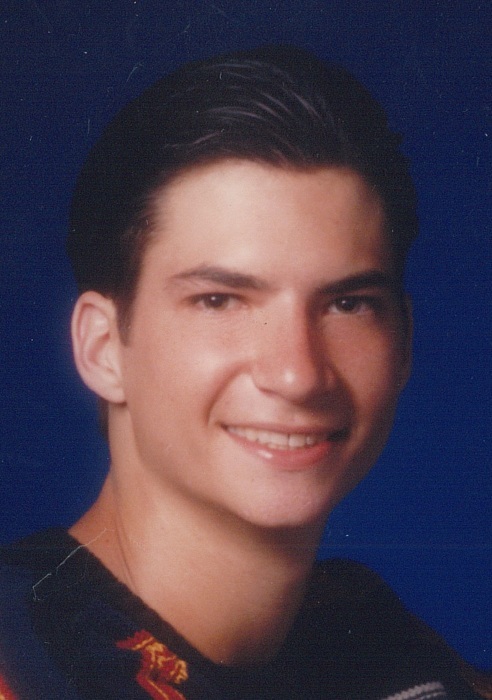 Tim was a 1995 graduate of Girard High School and had served his country in the Marine Corp. He was an avid Cleveland sports fan and enjoyed golfing. Tim loved watching all kinds of sports, but his greatest joy was watching his son's play sports. Besides his parents, of Youngstown, he leaves the love of his life, Gina Gutierrez, their sons, Carter and Cayden Duffy, his brother, Darrin (Donna) Duffy of Carmel, Indiana, his grandfathers; Andrew Ondrusek of Girard and Thomas Duffy of Youngstown and his nieces and nephews; Donovan Duffy, Desmond Duffy, Noah Gutierrez, Dominic Sarno, Malina Sarno, Natelee Sarno and Arabella Sarno. Tim is preceded in death by his grandmothers; Ann Duffy and Shirley Ondrusek. A prayer service will be held on Sunday, June 10th, 5:00 PM at Blackstone Funeral Home, where the family will receive relatives and friends from 3:00 - 5:00 PM. As suggested by his family, memorial contributions can be made to the family. Visit www.blackstonefuneralhome.com to view this obituary and to send any expressions of sympathy to the family.